M13 is a spectacular globular cluster and arguably the best example of its type in the northern section of the sky. It is the standout deep sky object in the constellation of Hercules and sometimes referred to as the Great Hercules Globular Cluster. At magnitude 5.8, M13 is an easy binocular target that is just about visible to the naked eye under dark skies. The popularity of M13 is mainly due to it declination; it lies at 36 degrees north and therefore well placed and often overhead during summer months for northern hemisphere observers. There are many other globulars that are larger and brighter than M13, but all are located in the southern section of the sky and either invisible or low on the horizon for North America, European and many Asian skywatchers. 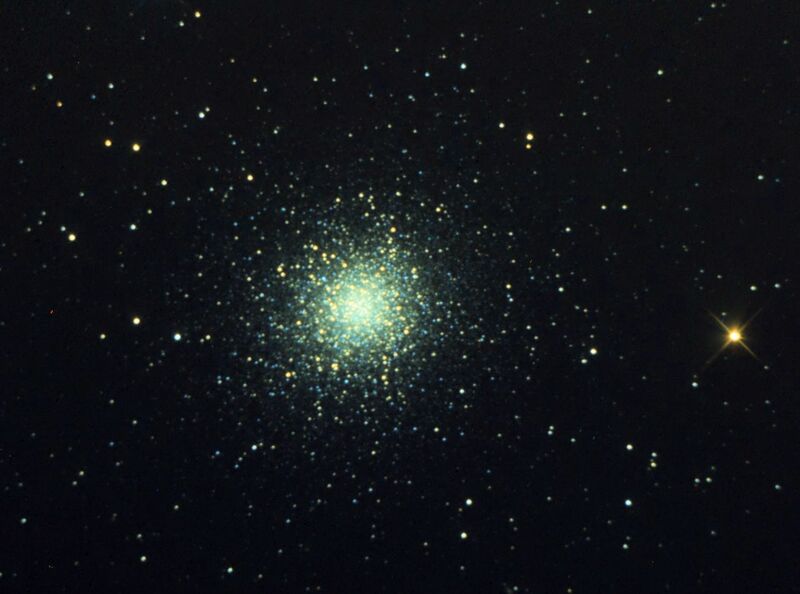 As a result, M13 is perhaps the most observed and studied globular cluster of all.